Advertising doesn't have to be expensive… Just EFFECTIVE! 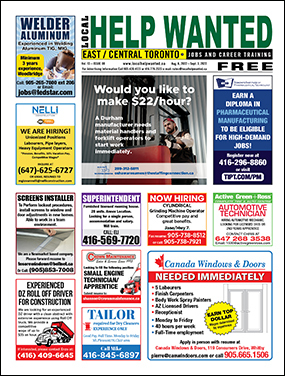 LOCAL HELP WANTED is available bi-weekly in high-traffic street boxes across our TORONTO WEST, TORONTO EAST, YORK REGION and DURHAM REGION areas of coverage, plus our specialized racks located in HRDC Centres, universities, colleges, libraries, employment centres, and training schools. 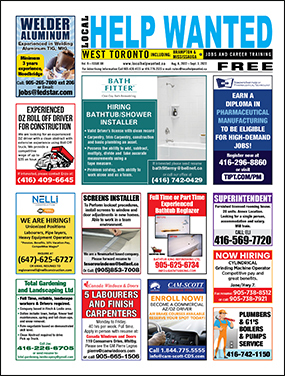 The paper can also be found in community centres, arenas, donut shops, plazas, bus stops, subway stations, and LRT Stations. 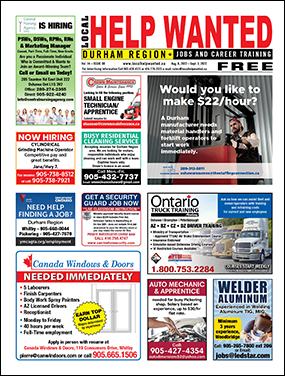 Editorial content is provided by sources such as Federal, Provincial and Regional Governments as well as prominent Schools, Universities and Accredited Training Facilities. 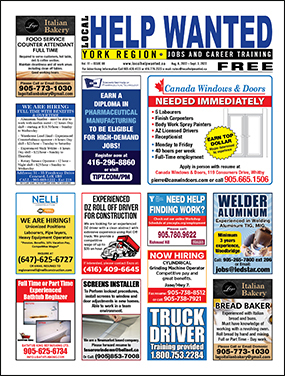 Our papers are loaded with employers advertising for positions available in your area and looking for your skill sets. These papers are geared to prepare you for your job search and with how to create a better resume, how to prepare your cover letter to get recognition, and how to handle even the toughest interviews. We bring you information on workshops and training for the unemployed and for newcomers to Canada. Plus you’ll find information for the best Career Colleges offering a huge selection of diploma programs. If you are looking for Career Training, start by clicking on the links below to find the Career College that's right for you! Copyright © 2013 Local Help Wanted. All Rights Reserved.